Spring is said to be the best time to sell your home, but with increased competition how can you stand out? It is well-known that winter is ideally not the optimum time to sell your home for a variety of reasons from the bad weather and shorter days to the stigma of selling in the winter and frame of mind of those focused on the Christmas festivities. Those ready to sell their houses in winter are therefore advised to wait until spring before putting their house on the market if they have a choice. It has been an especially long winter this year in the UK, with snow still falling as late as March. However, as soon as the first welcome signs of spring begin to appear and the temperature begins to increase, so do the properties on the market – the ‘for sale’ signs visibly multiply! The trouble is that with the sudden influx of property for sale in the spring is that there is more choice available for buyers, and therefore more competition for you. In fact, this year, the spring surge is bigger than last year, with 43% more properties on the market. What can you do to take advantage of the higher number of buyers? How do you make the most out of selling your home in the spring? With a larger number of options out there for buyers in spring, you need to make sure that overpricing your home doesn’t put people off coming to view it. In a more saturated market, potential buyers won’t need to check out houses above their price range – they can simply decide on a set price and anything above it won’t need to be checked out. Don’t eliminate your home in the first round by putting on a high price with wishful thinking. Your estate agent will be able to advise you on an optimal price as they will have the experience and shrewd market knowledge. Presentation really does make a difference. You can take advantage of the new season by swapping any dark colours in the home for light colours. This doesn’t have to be expensive. Colours will dramatically change the feel of your home. A room full of bright, light colours will create a positive and welcoming feeling. Make sure your fruit bowl is full of seasonal fruits with a mix of bright colours. Place spring bouquets on tables and mantelpieces and entrance halls – daffodils and tulips are great at creating a punch of happy, fresh colour. Swap dark towels for light pastel coloured towels in the bathroom. Use brightly coloured scatter cushions and throws on the sofas, chairs and beds. Look out for touches of spring colour in ornaments and vases. For example on-trend teal ceramics. Walking into a stuffy home is very off-putting. If the weather is good for viewers, open the windows to bring the fresh air and natural light in. If you have any bay windows, think about asking a seamstress to make a cushion to fit the window sill and create a window seat. There is something very inviting about a window seat where the viewer can imagine themselves relaxing with a book as the curtains flutter against the windows. If you are opening up shutters, make sure they are dusted and that any dead insects are cleaned away. It’s an an obvious one, but the natural spring light shows up all the dust and dirt. Walk through your home in natural daylight and check for spiderwebs and dusty surfaces. So much time is spent inside the home during the winter that your carpets will probably need a deep clean to refresh the appearance for viewers. Stained carpets are an added expense that viewers don’t want to have to deal with. This is something that sellers always forget. It is likely that viewers might open any permanent wardrobes to check out the storage space. A winter wardrobe full-to-bursting with winter coats and jumpers that take up so much space can instantly make it seem like there is an inadequate amount of storage space. You can use a storage company to hire space to put your winter clothes into storage, amongst other unnecessary belongings. Many storage companies do special deals for set periods of time, so it pays to shop around. Alternatively you can vacuum pack clothes and store them flat in sliding drawers under the bed or in the loft. 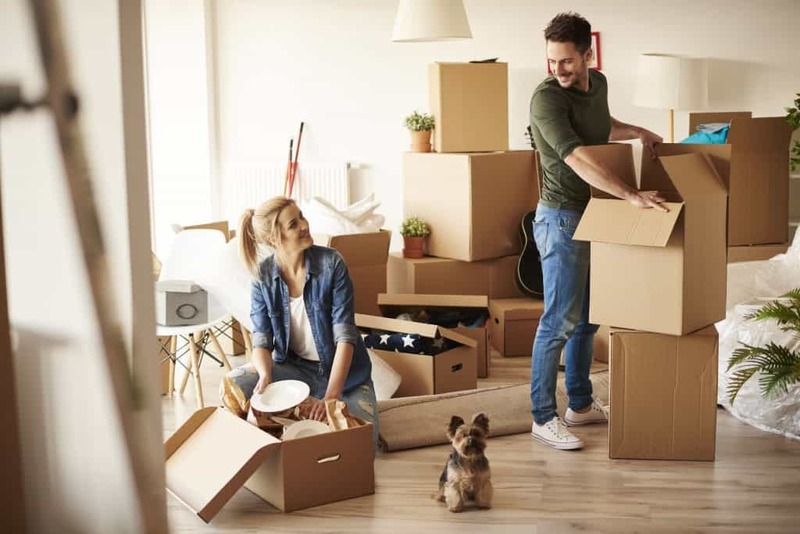 Don’t put too much into storage though – buyers want to see the ‘fantasy’ version of your home – they don’t need to try to imagine it with other options on the market. So make sure you leave a few chosen items displayed so that they can see the space is used and is practical. You should think about utilizing all the viewers’ senses for a positive feel when selling your home, and this includes their sense of smell. There are a number of ways in which you can bring the smells associated with spring into your home. Look for light, fresh smells which evoke spring such as florals and clean linen as opposed to the warmer spicy cinnamon or baking smells that we associate with winter. 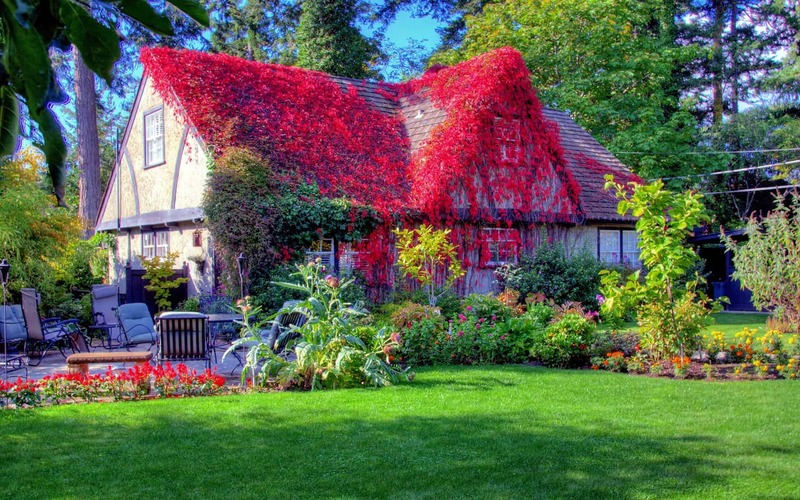 It is vital that you tidy up the outside space and the outside of the property in spring. Buyers are said to make a lasting first impression within 60 seconds – don’t let them think a negative thought as soon as they drive up to the property or walk up to the front door! You want to make sure that it’s the best looking property on the street – people are often subconsciously naturally competitive. Ensure that your front door is freshly painted and that garden paths, paving and patios are power washed. Add some hanging baskets and flowering tubs to your front doorstep. Use storage companies to clear over-filled loft space, spare rooms, cupboards and garden sheds. You don’t want the viewers to think there is not enough storage space, especially in the competitive spring market when they have plenty of choice. If they see that you are having a problem finding space for all your belongings, they will assume they will too. Not only that but lack of storage space will contribute to a low valuation when the surveyor comes to look at your property. Clean the windows to let the sun come in! The spring sunshine will show up any dirty windows. Book a regular window cleaner during the viewing period via direct debit so that you don’t need to remember. The sun will shine in, bounce off the walls and mirrors, and give a spacious, positive feeling to those walking around the property.